Making agriculture more sustainable will be essential to feed global populations now and in the future. WLE works to ensure that men, women and youth have equitable opportunities to participate in transforming agriculture in this way, considering it a prerequisite for sustainable intensification. Men and women engaged in agriculture have different opportunities, preferences and needs, and successful development interventions hinge on understanding and accounting for these differences. WLE is developing tools and approaches that can help investors, planners and other decision makers understand the gender dynamics in a given context, giving them the best starting point for increasing equity. Migration plays a big role as men are leaving rural areas in favor of jobs in urban centers. This sometimes leaves women with greater control over agricultural decisions and resources, but sometimes they suffer additional burdens. WLE is working to shed light on these dynamics to understand how agricultural societies and systems can cope with the impacts of migration. 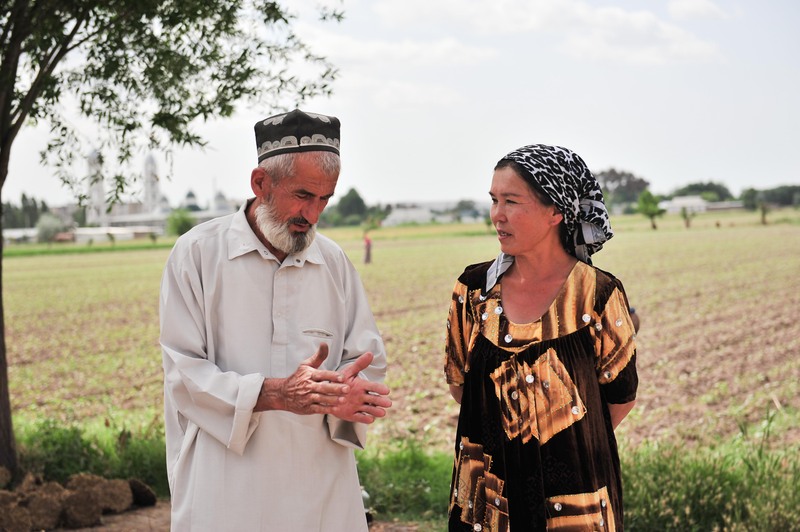 Women in Tajikistan have always been actively engaged in agriculture, however, they have increasingly taken on new tasks in the sector, including becoming farm managers, in response to few off-farm employment opportunities and high rates of male labour migration. Across South Asia today, male out-migration is a fact of life, particularly in the poorer Eastern states of India such as Bihar, not to mention Nepal and Bangladesh. This has led families to pursue a dual livelihood strategy, depending on both farming and migrant wage work, with neither able to fulfill their minimum needs alone, let alone provide opportunities for economic upliftment. More than half the globe's population is below 30 years of age, and almost 90 percent of youths live in emerging and developing economies in the Middle East and Africa. WLE is working with partners to explore what roles youths play in agriculture, now and in the future. Ahead of the 11th International Conference on Community-Based Adaptation (CBA11), Daphne Nansambu looks at an aging agricultural population in Uganda and considers why so many youth are migrating away from farming, as well as what can be done to keep them in the sector. Nansambu, D.; Sugden, F. 2017. A generation on the move: voices of youths in the context of climate change, migration, and livelihood transition. Session report from the 11th International Community Based Adaptation Youth Conference, Kampala, Uganda, June 2017. Colombo, Sri Lanka: CGIAR Research Program on Water, Land and Ecosystems (WLE). What if the prevailing narrative that youth migration is responsible for the deterioration of rural agricultural livelihoods needs to be rethought? What’s the future of youth in drylands? What tools and knowledge can be shared with young farmers in drylands to manage and reduce risks from a changing climate while protecting and improving their livelihoods in these rural areas? Ayantunde, A.A.; Yameogo, V.; Traore, R.; Kansaye, O.; Kpoda, C.; Saley, M.; Descheemaeker, K.; Barron, J. 2017. Improving livestock fodder production through greater inclusion of women and youth. Colombo, Sri Lanka: CGIAR Research Program on Water, Land and Ecosystems (WLE). 4p. Identifying and removing barriers for women and youth to access irrigated land in the White Volta basin has the potential to give them a "head start." A special ‘Synthesis’ issue that collates research outputs from participating CGIAR centers was one of the key action points discussed at a workshop on Land and Water Solutions (LWS) – Flagship 2 of the CGIAR Research Program Water, Land and Ecosystems. Dessalegn, Bezaiet. 2018. Socio Economics of Majidyya village. Lebanon: International Center for Agricultural Research in the Dry Areas (ICARDA). Dickens, Chris; Cox, Amy; Johnston, Robyn; Davison, Supatra; Henderson, Derin; Meynell, PJ;Shinde, Victor. 2018. Monitoring the health of the greater Mekong’s rivers. Vientiane, Lao: CGIAR Research Program on Water, Land and Ecosystems (WLE). 12p. Valuing Ecosystem Services in Semi-arid Rangelands through Stochastic Simulation.